CES 2018 is here. 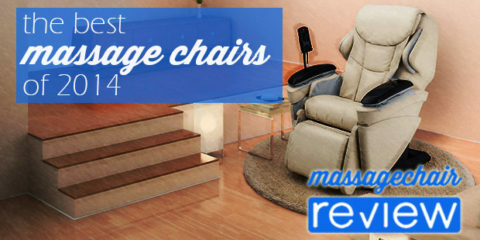 What’s new in massage chairs? CES 2018 has no shortage of luxury technology. Smart home devices add comfort and convenience to your living space. Oversized, ultra-high-resolution TVs bring families closer with an over-the-top entertainment experience. 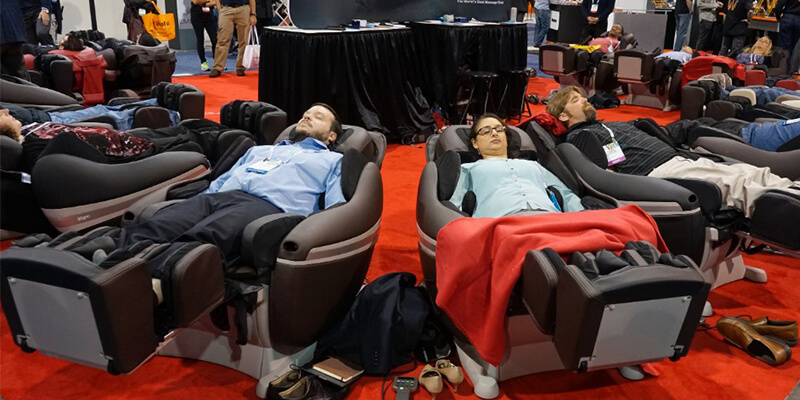 And perhaps most luxurious of all are the massage chairs, offering a respite to weary show attendees and a little shiatsu massage joy for their tired feet. 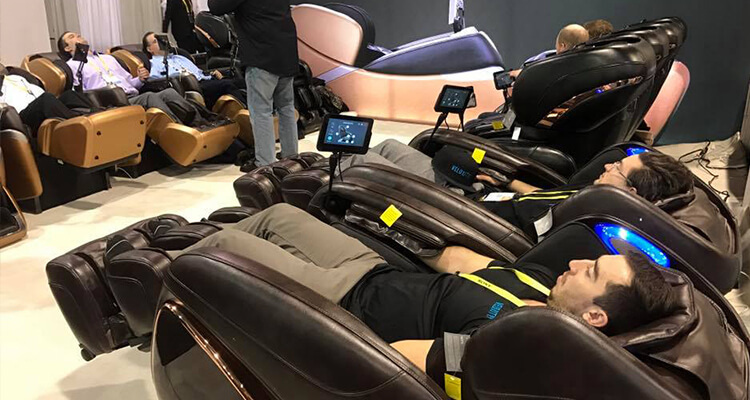 Glorious pods of comfy, heated leather, sporting Bluetooth connections and LED lighting for chromotherapy, massage chairs bring the ultimate in relaxation and stress relief straight to the CES 2018 show floor - and also right into your living room. 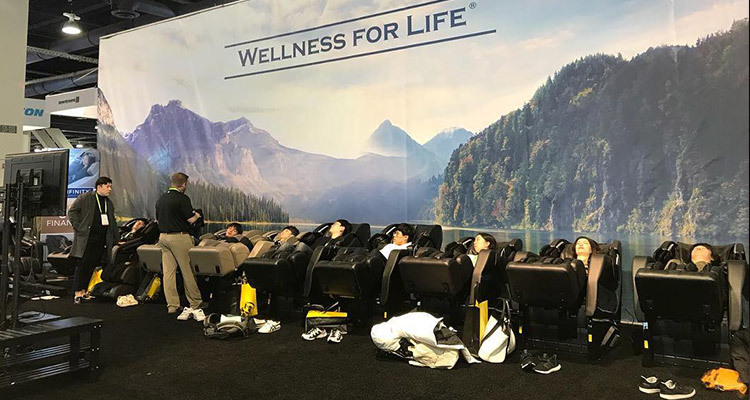 For your convenience, we’ve compiled a quick look at the massage chairs of CES 2018. Unfortunately, when it comes to massage chairs, there isn't much in the way of true innovation on the show floor. The Homedics HMC 100, HMC 300 and HMC 500 stand out, providing high-end features at an affordable price point. 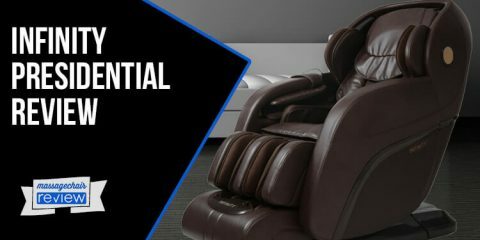 It is unprecedented for massage chairs under $2,500 to deliver a comfortable, effective massage, and Homedics accomplishes this task. But if you want to see innovative technology in a high-end massage chair, you’d have to venture off the show floor. 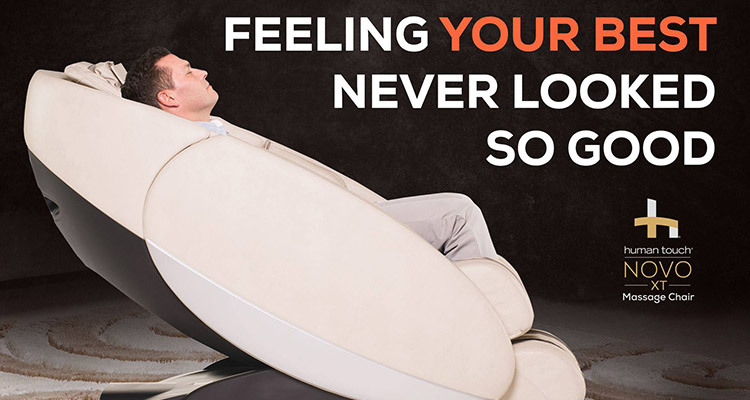 Manufacturers like Cozzia and Ogawa have made real breakthroughs in massage chair technology in recent years, producing chairs that offer more comfortable, customized, human-like massages. 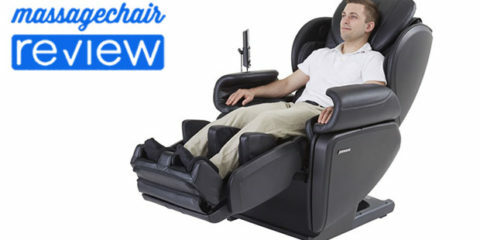 From quad rollers that deliver a 4D massage to tablet-based control and biometrics technology that scans your body and measures tension to work on areas that need it the most, these massage chairs offer something for everyone, whether you are looking for stress relief, pain therapy, or recovery after a workout. 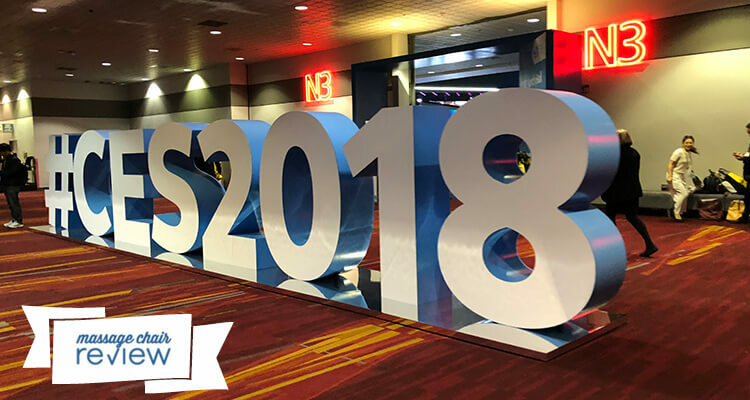 Scroll through our slideshow to take a look at the best of CES 2018 – and the best overall massage chairs of 2018. 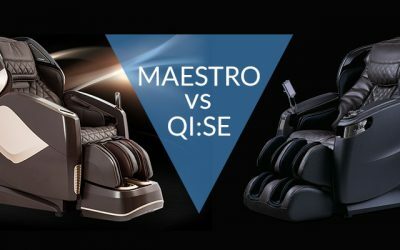 The Cozzia Qi and brand new Cozzia Qi SE, hailed as the most high-tech massage chairs of the decade, feature Japanese-designed quad rollers that offer a more human-like massage. The Cozzia Qi introduces “Chair Doctor” technology. The chair measures the tension levels in your back and “prescribes” a massage to work on your problem areas. Oh, and speaking of technology, we should mention that it comes with an iPad Mini as its remote control. The slightly lower priced, wall-hugging Cozzia Qi SE has zero-G technology and is the first chair to include 4D, L-Track rollers. These chairs represent the latest innovations in programming, roller technology, customization, chromotherapy and more. 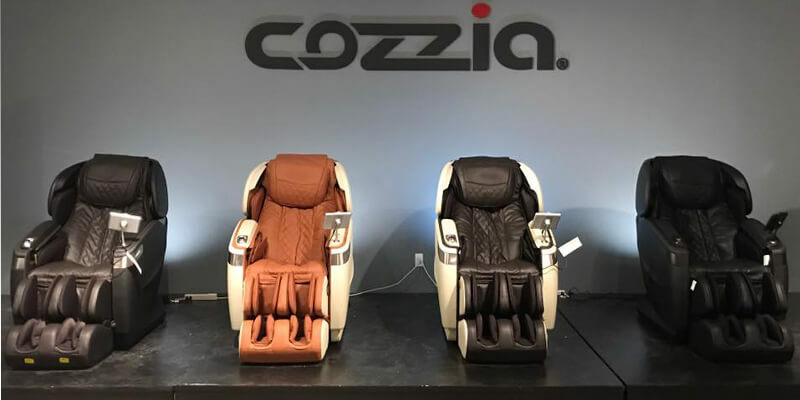 If you didn’t find what you were looking for at CES 2018, make sure to read the reviews on these Cozzia massage chairs. 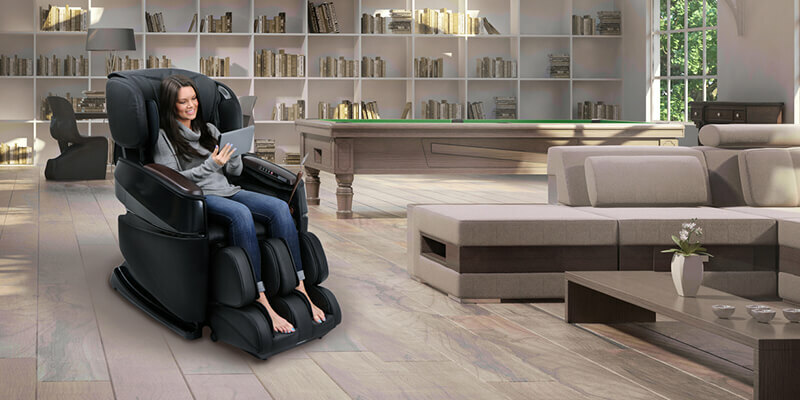 Similar to the Cozzia Qi with iPad control, the Ogawa Smart 3D massage chair provides unprecedented control via an included Android-based tablet and mobile app. App-based control is the future of massage chair technology, and we were surprised and disappointed to note that none of the models at CES 2018 featured this development. 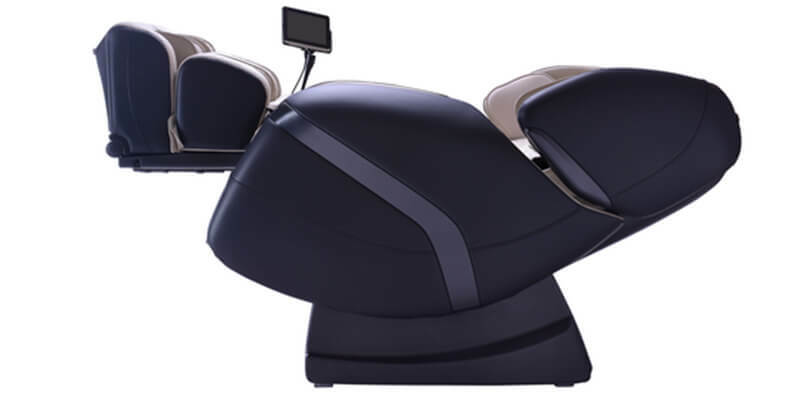 The Ogawa Smart 3D is one of the most high-tech massage chairs you’ll find for under $9,000. Perhaps one of the most advanced you’ll find at any price point. 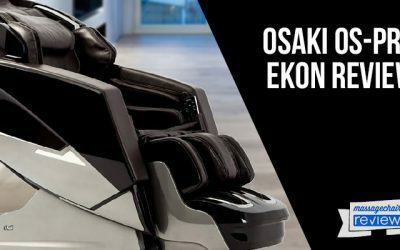 The Smart 3D uses innovative With 3D dual-head rollers that allow you to adjust the depth of the massage up to three inches and adjustable shoulder airbags for a more comfortable massage, Ogawa introduces multiple innovations into the Smart 3D massage chair. If you ever run into trouble, the chair performs a self-diagnostic. You can even contact technical support directly through the tablet, without leaving the comfort of your massage chair. 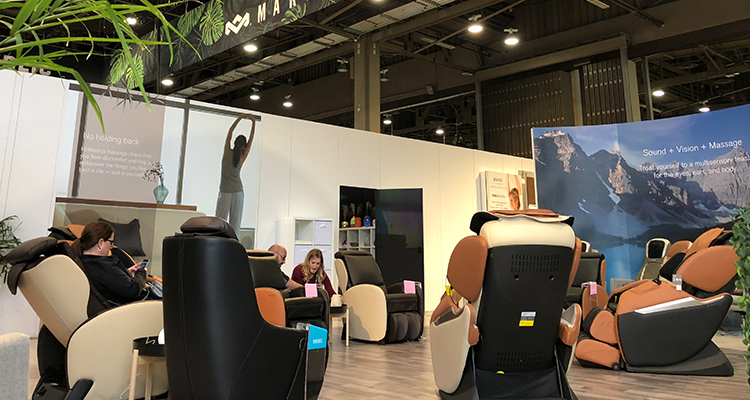 While many CES 2018 attendees focus on smart home innovations, the Ogawa Smart 3D is the world’s first smart massage chair that delivers a truly custom massage for every user. 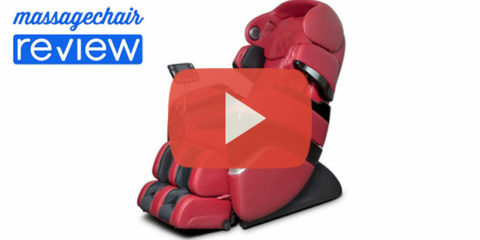 The Ogawa Active L massage chair features a uniquely designed SL Track massage track that sends the rollers from the back of the head all the way down into the upper thigh. With the Ogawa Active L there is no longer a reason to choose between an S-track or L-track as the contoured track gives you the comfortable, full body massage you crave. 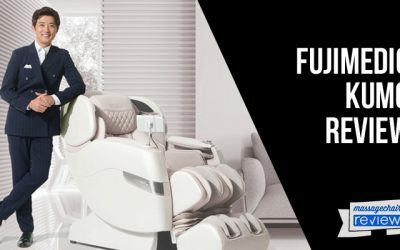 With heat, zero-g technology, foot rollers, speakers and Bluetooth connectivity and chromotherapy, you’d have a hard time finding a more advanced massage chair at CES 2018 or anywhere else. 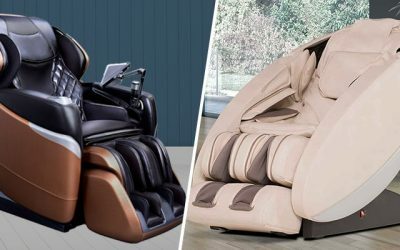 The Inada DreamWave is hailed as one of the “World’s Best Massage Chairs.” Straight out of Japan, it features a full-body shiatsu massage and most of the features you’d expect in a high-end massage chair. 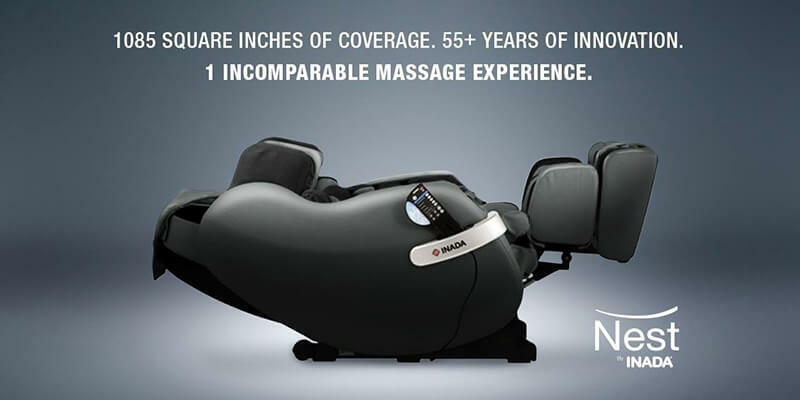 New in 2017 and now shipping, the Inada Nest boasts 3D LR Differential Massage technology, which means the left and right rollers operate independently from each other for a more human-like touch. Add re-engineered rollers with a knobby surface to better stimulate acupressure points for an enjoyable shiatsu massage that relieves stress. 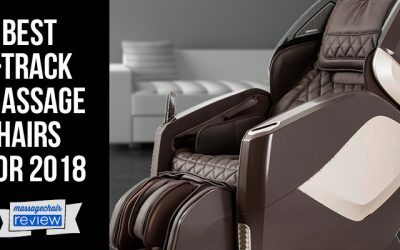 One of Panasonic’s most popular massage chairs, the MA73 is once again on display at CES 2018. This is one of the few chairs on the market that also doubles as a regular recliner, with the foot and calf wells disappearing when you rotate the attached ottoman. Finally – a new model from a major manufacturer at CES 2018! 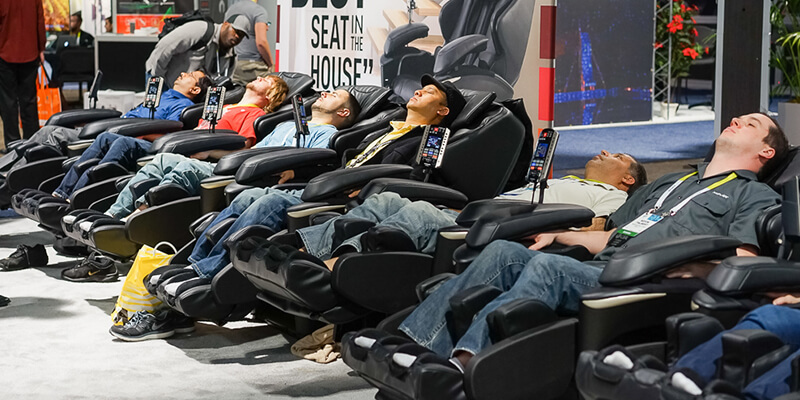 Attendees relaxed during the show in a row of new MAJ7 massage chairs from Panasonic. The MAJ7 features 4D massage rollers and the all new L-Track. Panasonic took the MA73 and made it even better. For the second year in a row, Human Touch showcases the Ascent Series Novo XT massage chair. The chair features L-track roller technology that covers 60 percent of the body and a unique Unibody design that looks great in any room. With a wireless remote and an air ionizer, the Infinity Imperial features some technology not found on other, similarly priced models. The chair has been very well-received by CES 2018 attendees for its comfort and style. The Luraco iRobotics7 zero gravity massage chair, recognized as the Best of CES 2017 in Health and Fitness, returns again this year. 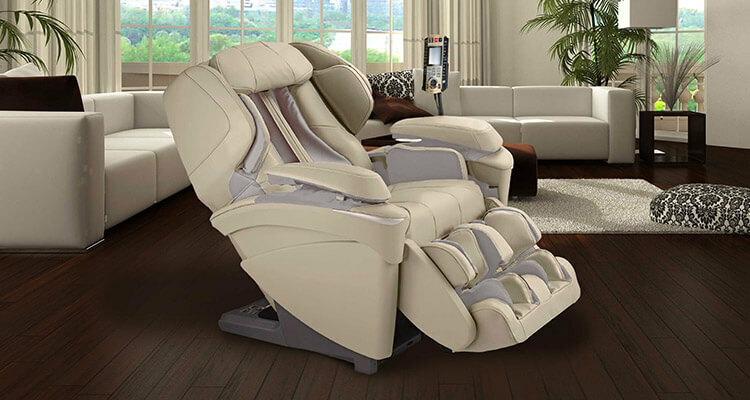 One of the few massage chairs manufactured in the U.S., the iRobotics7 has 3D rollers, full-body heating, and a touchscreen remote. 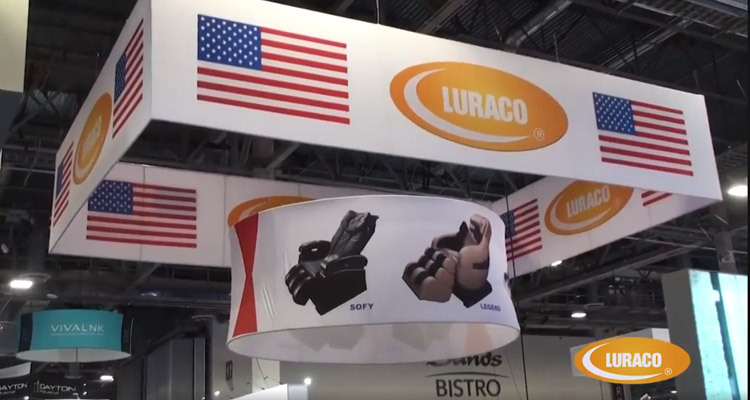 On display as a prototype at last year’s CES, the Luraco Legend with L-track once again graces the Las Vegas show floor. This time, it’s available for shipping. The only L-track chair made in the USA, the 58-inch roller track massages lower on the hamstring than other chairs on the market. 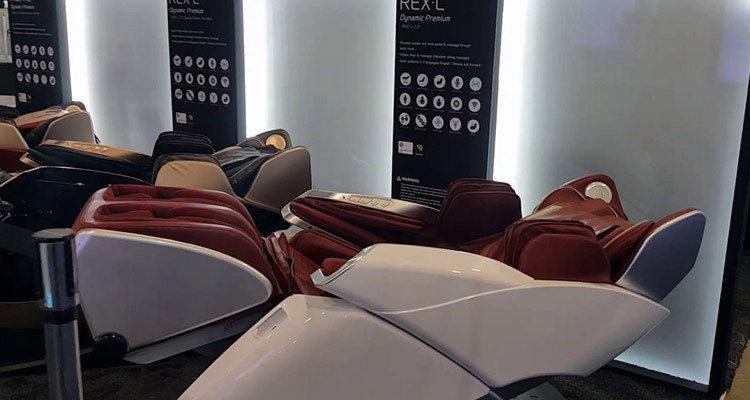 Another massage chair company making headlines at CES 2018 is Bodyfriend, which recently partnered with Automobili Lamborghini to deliver the ultimate in luxury. 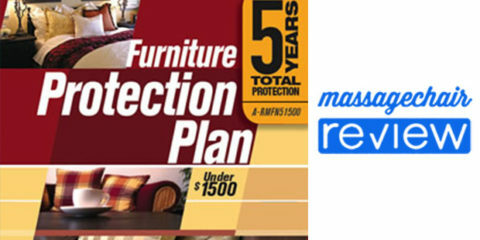 The new Rex-L Plus uses a massage technique called “brain massage,” which uses healing music with binaural beats to first stabilize the brain. 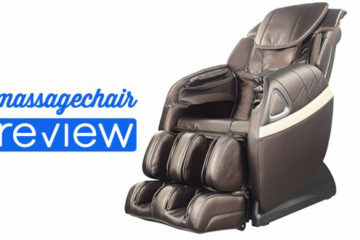 It then employs a massage designed to enhance cognitive skills or promote relaxation, according to the manufacturer. 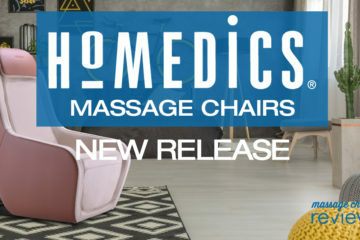 After years of manufacturing massagers and massaging chair pads for the mass market, HoMedics comes onto the luxury massage chair scene in a big way with three sub-$2,500 models providing many of the same features found in chairs costing two to three times more. The HMC-100 brings a clean, stylish look, L-Track roller technology, and quad rollers for a more human-like touch. Experience all this in your living room right for less than $700. Quad-style rollers and innovative Long Track technology help the HMC-300 deliver a luxurious massage in a chair that doesn’t take up a lot of space and can match any room of your home. The wall-hugging model delivers a full-body massage that’s to the extended track and air bags around your calves or feet. When you’re done, the HMC-300 quickly transforms into a regular recliner by flipping the space-saving ottoman or closing the ottoman completely to minimize the massage chair’s footprint. The top-of-the-line HMC-500 offers zero-g technology and an S-curve massage roller track to deliver a comfortable, full-body deep tissue massage, with rollers that contours to the curves of your back. Add chromotherapy, Bluetooth speakers, and foot rollers, and you’d expect to pay much more than $2,499 for this innovative massage chair.